BJ Sheldon currently lives in Peoria, Arizona with her husband, Steven, who is now a veteran of both the Iraq and Afghanistan wars, along with her three daughters, their dog and four cats. 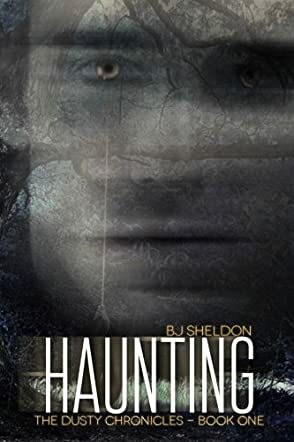 In 2011, BJ was awarded a silver medal in the Reader’s Favorite Award Contest in the Young Adult/Fantasy category and was the only book in that genre to win an award without being a previously published work. She is actively seeking a literary agent and hopes to one day find “Haunting” on bookstore shelves. Dustyn Jane Vermeer is in love with the perfect man. There's only one problem: he is dead! Sixteen-year-old Dusty was was living in Florida with her dad and older sister, Sadie, when a family tragedy caused them to move back to their dad's childhood home, a 95-year-old farmhouse in Hull, Iowa. Life in a new school is pretty normal, but at home in her bedroom, some weird things are taking place. Dusty begins having dreams about Jack, a handsome young soldier in the Korean War who begins haunting her. They assume he must have died in the war, but when a kiss between the two unlocks his memory, Jack realizes he made it home from the war but was murdered, and he knows who the killer is. When Dusty decides to confront the killer, suddenly her life is in danger! I loved this story. It was interesting how Jack haunted Dusty, not only banging around in her room, but also showing up in her dreams. I must say, when the strange things started happening in her room, it was a bit creepy; but once introduced to Jack, I started seeing him not as a ghost, but instead as a young man who was cheated out of life. I could easily see why Dusty would fall for him, but she also had feelings for her boyfriend, Mike. It was nice that there was the secondary story of Dusty's school and family life. This is one of those stories that never has a down time because the author keeps the plot moving along and is always throwing in little twists. This book gives the reader a bit of everything; there's tragedy, romance, boyfriend trouble, school drama, mystery and a bit of edge-of-your-seat suspense. Roll that together with the paranormal elements of the story, and you have a book that will easily appeal not only to young adults, but to anyone who enjoys a good story with a paranormal twist.